The dawn breaks early here. The soft sunshine, slowly working its way through the chilly morning air, enshrouds the city in amber. As I look outside my window, I see trees, fresh from an early morning shower, laden with raindrops. On the street below, people are opening up their shops, dusting and arranging their displays. A couple of food stalls have started with their preparations for the day. The smell of hot and oily mint pakoras and spicy dalwadas waft up towards me. Around the corner, there are scattered groups of men sitting on wooden benches, excitedly talking in fluent Bengali while savoring their gingered tea in tiny earthen pots. There are women too, draped in red and white saris buying hibiscus and marigold as the daily ritual offerings to Goddess Kali. The air in this city always has a distinct spark of festivity; a city where every day is a celebration. 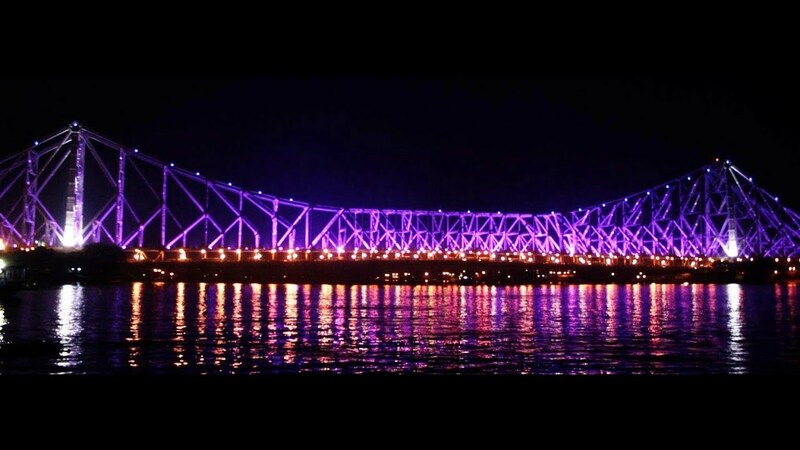 Kolkata- the place where I was born, the place where my heart is. Every year, I go there to visit my maternal grandparents during the scorching summers when the school is on hold. Calcutta, as the city was originally known and the name I have always preferred, offers a cool, soothing respite. Thinking of how I used to spend time with my grandparents, brings back sweet memories of my childhood. We would go on walks, feed the pigeons on the sidewalks, and play in the park. They would spoil me with sweets and candy. They spent hours telling me stories of the ‘olden days’ and sometimes taught me to pray. But it’s the city of Calcutta that has been more central in my upbringing and has contributed significantly more to shaping my personality than my grandparents. The capital of West Bengal, this city is overflowing with culture and people. Bengalis, as the people of Calcutta are known, are the most laidback and relaxed people you will meet in India. At the same time, the fiercely stand up for what they believe in. The sights, sounds and the smells of Calcutta are firmly etched in my heart and it’s those that root me to the place. To be honest, it’s a chaos. This city. People visiting Calcutta for the first time get trampled underneath it in the first week. Main roads run through residential complexes. And there are some stick thin lanes which not only have two rows of parking, but also big, fat yellow six-seater taxis (mostly carrying just the driver and a malnourished passenger) along with a Mercedes Benz and an Audi, scrambling their way through them. The economic and the social diversity in Calcutta is astounding. The legendary one way traffic rule where the entire city moves in one direction before 1 pm and goes exactly the opposite direction after 1 pm is unique and even bizarre to some people. And somehow, everyone seems to know the flow. It’s like their mother tongue. They are just born with the traffic language of the city. People are everywhere in this city. They sleep in houses, apartments, parks, sidewalks. And the rest on handcarts, on machines and in cars. If somehow the first-time visitors manage to make it till the weekend and slowly shed the overwhelming blanket that the city has thrown on them, they will begin nuancing the city- little by little. Each time that I have been there, Calcutta has revealed itself to me slowly. Opening one sleepy eye at a time. Now a British cemetery, then some jazz left behind by some Americans in the war years. Sometimes a scroll in the Indian Museum, other times a casket of opium and its history in this city. Calcutta lives in the history as much as it lets its history get moldy. Look, for instance, at the streets parallel to the Chowk Bazaar. A crumbling monastery founded by a Sri Lankan monk, a locked up Chinese hermitage and the building of the Bengal Theosophical Society, one of the world’s first East-meets-West religious ideologies. Each building has its own tale. Each street, a journey through the grimy layers of time. When you walk through Calcutta’s old quarters, you can’t help but feel like you are flipping through a yellowing old book from your grandpa’s bookshelves, with dog-eared pages and broken spines. You might find letters and photos tucked between pages – which seem to talk of love, loss and long nights of his life. As much a talker’s city as a rambler’s, happiness to Bengalis is Adda-baaji – a substantially Bengali penchant that might be extravagant but is actually very intellectually stimulating. The word ‘adda’ means a group of people, and that is exactly what it is. People, mostly men, sit together for hours talking about anything from politics to theatre, from food to even mundane gossip. The facility to arouse creative expression in others is an absolute quality of the adda. Even if you do not understand Bengali, like in my case, you are welcome to join them under big banyan trees, over a spacey rooftop, in dark corners of parks or over smokes at river-fronts fringing the city. Happiness to the people of Calcutta is also food. And you can eat the world here, albeit on the streets. A Chinese breakfast at Tirreti Bazaar. The Iraqi sambusas at Nahoum’s. The Indianised cabbage dolma brought in by the Armenians. Or the Bangladeshi Rui Kalia (carp curry) in Free School Street. And of course, the perennial roshogullas – cottage cheese balls dipped in thick, sugar syrup which are the absolute favorites of everyone. What perhaps could be missing here, when compared to the other metro cities of India, is the boutique-y setup. Right from the transportation of a clutch of chickens tied by their feet and strung to the backseat of a bike to their de-skinning, amidst a flurry of feathers and blood diluted by the water flowing from hand pumps. The butchering and the frying. And then rolling it into a chicken roll the city is famous for. Everything happens right before your eyes. Once in some local magazine, I read this: Every city does its share of dirty work. But Calcutta, unlike most urban cities of India, lacks that cosmetic layer shielding it. It’s a city where if you lose your gold bracelet on a sidewalk, ten pedestrians will be looking for it along with you. If you are a woman and someone tries to suggestively brush against you and if you shout in fear or curse a threat, men from your surroundings will leave everything to come protect you. But if you don’t be grateful for the gestures, they will make their offence known to you. It’s a city where change is not visible, but millions of human beings and auto motives function in an uninterrupted cycle every day, negotiating their space and value in the giant street theatre. I miss my hometown deeply. I haven’t lived there at all, except during those month-long summer vacations, but I still consider Calcutta as my home. Maybe someday, I’ll find a quiet suburb to live in. A tiny place tucked away in some corner, a place forgotten by people, left behind by the ever-expanding city. Right now, I am drowned in nostalgia because I miss the dark skies, the chilly winds and those sudden thunderstorms. Calcutta has a special place in my heart, an irreplaceable place.